After a sleepless night, we fell out of bed at 4am and hit the road by 4.30. 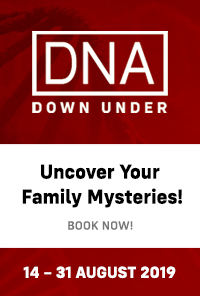 Destination, Canberra. Congress2015, gets underway tomorrow. I really am very excited and can’t wait to get there and soak up as much knowledge and inspiration as possible, from the varied speakers. 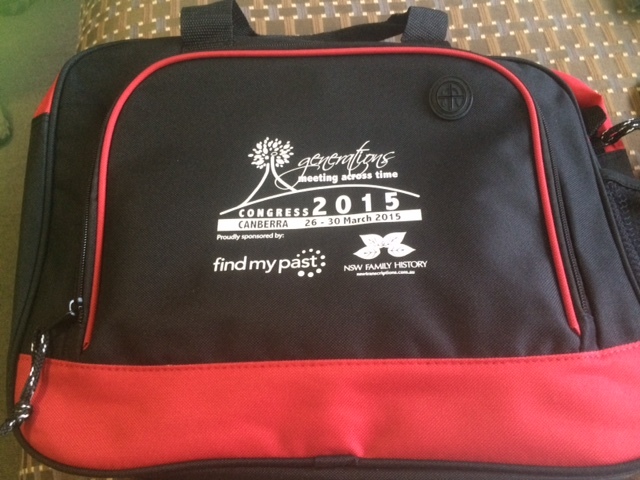 Today, I called in to the National Convention Centre and collected my registration pack. There are 2 bloggers that I have been particularly looking forward to meeting face to face – GeniAus and Judy Webster. And there they were standing in the foyer as soon as I arrived. Seeing them made my day. Even though we have never met face to face, it felt like meeting old friends as we have formed an online friendship over the years. I now have my Kiva ribbon that identifies me as being a member of Genealogists for Families. My blogging beads were also there waiting for me to collect them. Bloggers are wearing these beads, to make themselves known to participants. 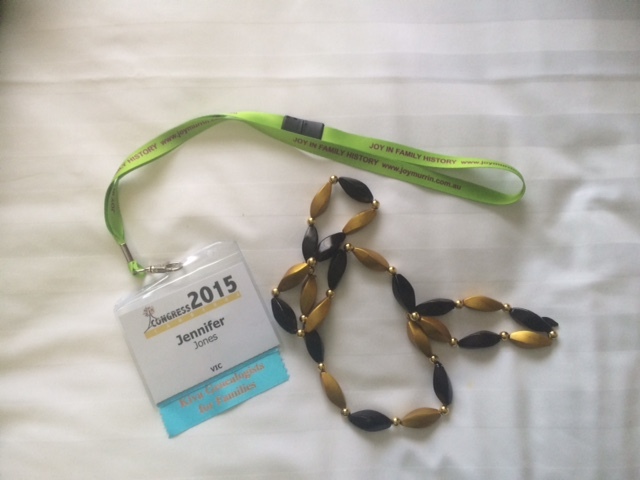 I will be blogging regularly during Congress and think the beads are a fantastic idea. And also I’m looking forward to reading posts made by other bloggers. Of course, I’m hoping to meet other bloggers and researchers. Oh, that’s so nice Jennifer. 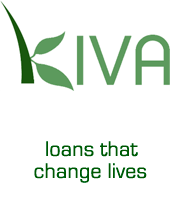 Jennifer, what is the KIVA ribbon? I am in the group!